As an Operating System which inspired from Unix, Linux has a built-in tool to capture current processes on the system. From 'ps' manual page, it gives a snapshot of the current processes. It will “capture” the system condition at a single time. If you want to have repetitive updates in a real-time, we can use top command. PS support three (3) type of usage syntax style. We can mix those style, but conflicts can appear. 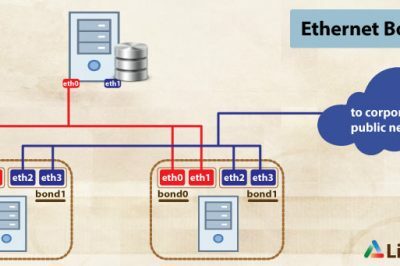 In this article, will use UNIX style. Here’s are some examples of PS command in a daily use. This is a very basic ps usage. Just type ps on your console to see its result. By default, it will show us 4 columns of information. This information is displayed in an unsorted result. This result might be a long result. To make it easier to read, combine it with less command. 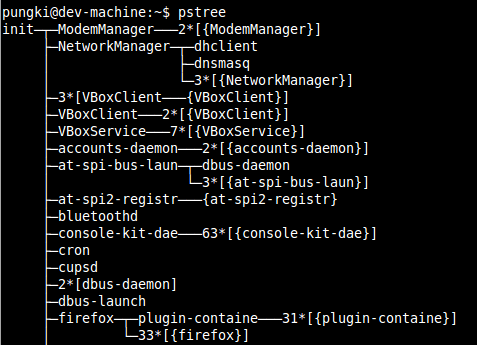 Since the result can be in a long list, we can pipe less command into ps command. Explaining each terms in the result. 1. USER - Username : The name of the user associated with the process. 2. PID - Process ID : The unique numeric identifier assigned to the process. 3. %CPU - Percentage of CPU: Time used (total CPU time divided by length of time the process has been running). 4. 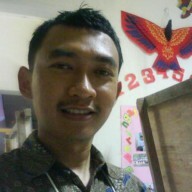 %MEM - Percentage of RAM Memory: used (memory used divided by total memory available). 5. 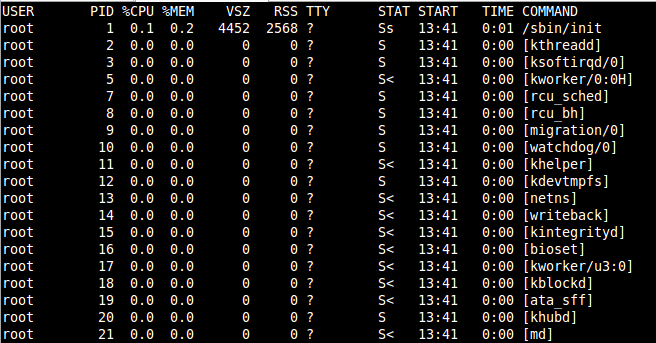 VSZ - Virtual Memory Size: Size of the process in virtual memory expressed in KiB. 6. RSS - Resident Set Size. 7. TTY - Terminal controlling the process. 8. STAT - Process State - Possible values. * S - Sleeping (may be interrupted). * D - Sleeping (may not be interrupted) - used to indicate process is handling input/output. * T - Stopped or being traced. * Z - Zombie or "hung" process. 9. START: The date or time at which the process started. 10. TIME: Cumulative CPU time used by the process and the child processes started by the process. 11. COMMAND: Command used to start the process. By default, the result will be in unsorted form. If we want to sort by particular column, we can add --sort option into ps command. 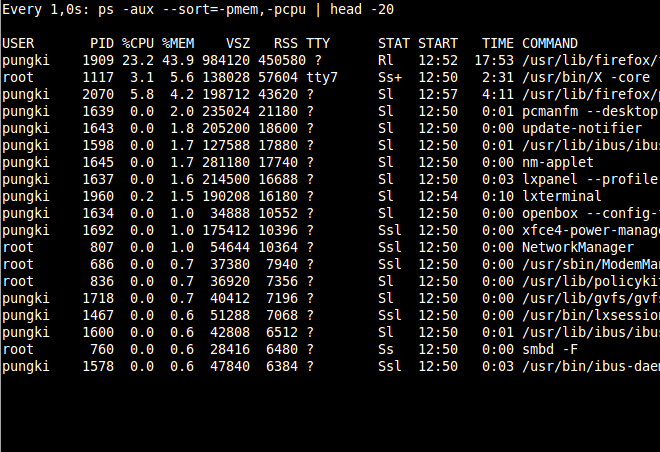 This shows the top 10 memory consuming processes running on the system. 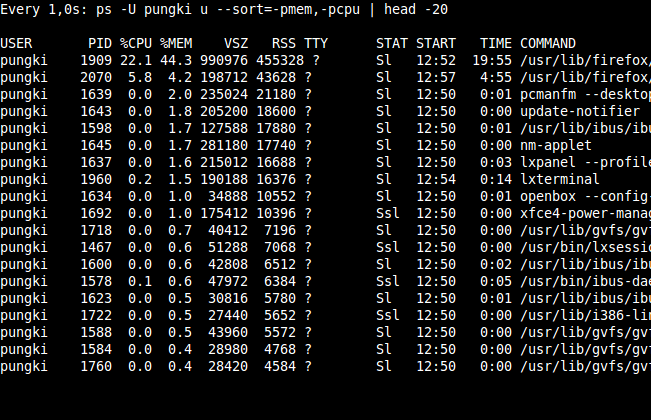 It is useful to see what processes are the most memory consuming. As we can see, the PID remain the same value, but the LWP which shows numbers of thread show different values. 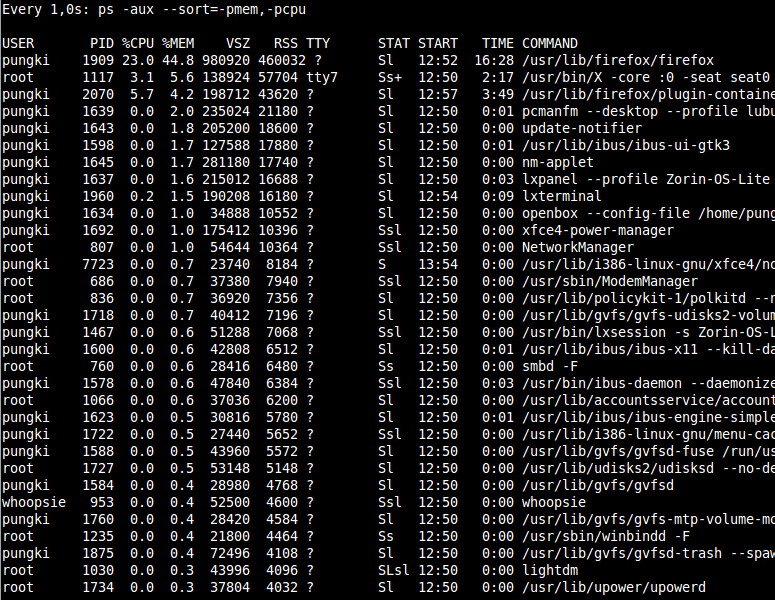 This will show all the threads of a particular process pid. -L show threads possibly with LWP and NLWP columns. This will display all child processes of a process and is useful in finding out what processes have been forked out of this main process. Sometimes we want to see the processes in hierarchical form. To do this, we can use -axjf options. This will show for how long a process has run on the system. 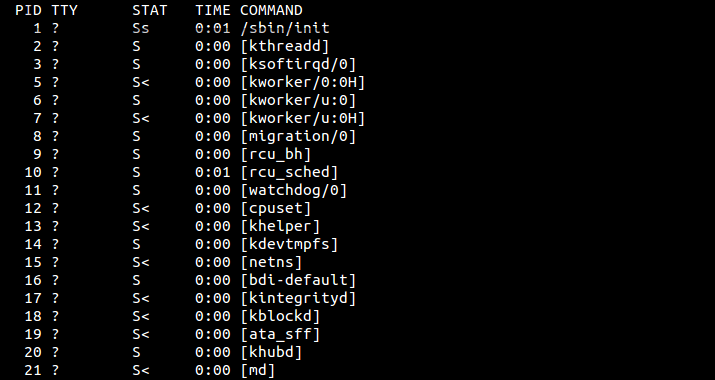 We can even use these following two keywords to find the uptime of a live process. etime: elapsed time since the process was started, in the form [[DD-]hh:]mm:ss. etimes: elapsed time since the process was started, in seconds. First, you need to find out the PID of a process. 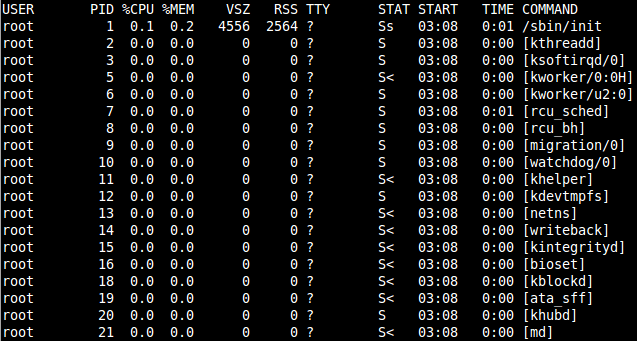 The following command displays the PID of apache2. Option -e will show you all processes while -o option will control the output. Pid, User and Args will show you the Process ID, the User who run the application and the running application. The keyword / user-defined format that can be used with -e option are args, cmd, comm, command, fname, ucmd, ucomm, lstart, bsdstart and start. The -U parameter will select by real user ID (RUID). It selects the processes whose real user name or ID is in the userlist list. The real User ID identifies the user who created the process. The last u paramater, will display the output in user-oriented format which contains User, PID, %CPU, %MEM, VSZ, RSS, TTY, STAT, START, TIME and COMMAND columns. Here’s the output of the above command. ps will display a report of what happens in your system. The result will be a static report. Let say, we want to filter processes by CPU and Memory usage as on the point 4 above. And we want the report is updated every 1 second. We can do it by combining ps command with watch command on Linux. If you feel the report is too long, we can limit it by - let say - the top 20 processes. We can add head command to do it. This live reporter is not like top or htop of course. But the advantage of using ps to make live report is that you can custom the field. You can choose which field you want to see. 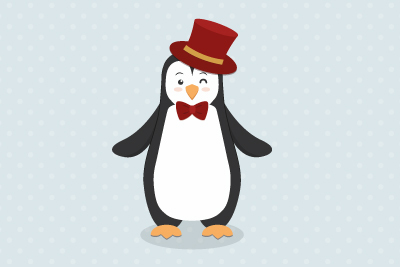 For documentation, you can type man ps on your Linux console to explore more options.